If you watch my Instagram stories, it's no secret that I'm a big fan of soup. I probably eat soup more than anything else for a number of reasons... Soup is an easy one-pot meal option, I can get protein, carbs & vegetables in one quick meal without having to think about it, I can make a big pot of soup to sort out my meal planning quite easily for the week with microwaveable Tupperware bowls, it's comforting to eat soup especially in the winter, there are plenty of low-calorie or low-carb soup options when that's a priority and finally, I can freeze soup so we always have some on hand when there's no time or energy to cook a proper meal. In short, I find soup to be a lifesaver and it can be absolutely delicious, especially when you make your own. While sometimes I want a lighter soup because I'm watching my girlish figure, occasionally I want something really hearty that feels like a satisfying meal. This is one of those soups. 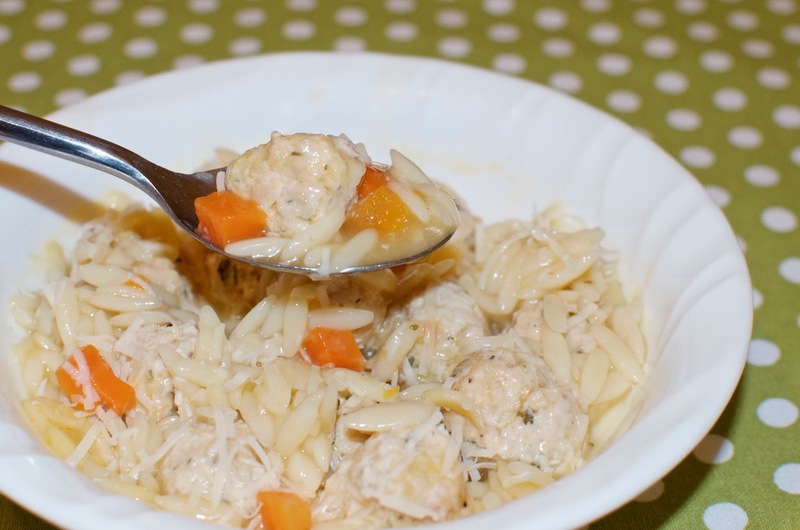 The garlicky meatballs, the filling pasta and the saltiness of the stock are so satisfying. The cheese melted on top makes this feel positively sinful. 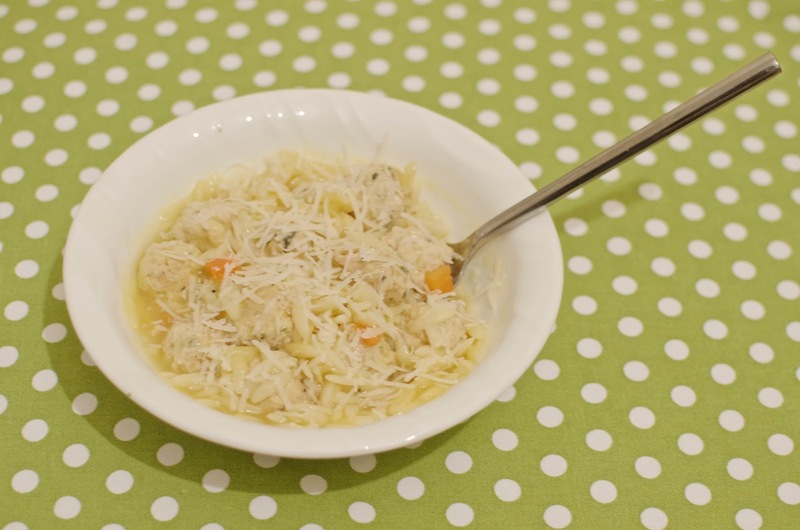 I love this soup when I'm sick, but it's just as good when I'm well and it never disappoints! 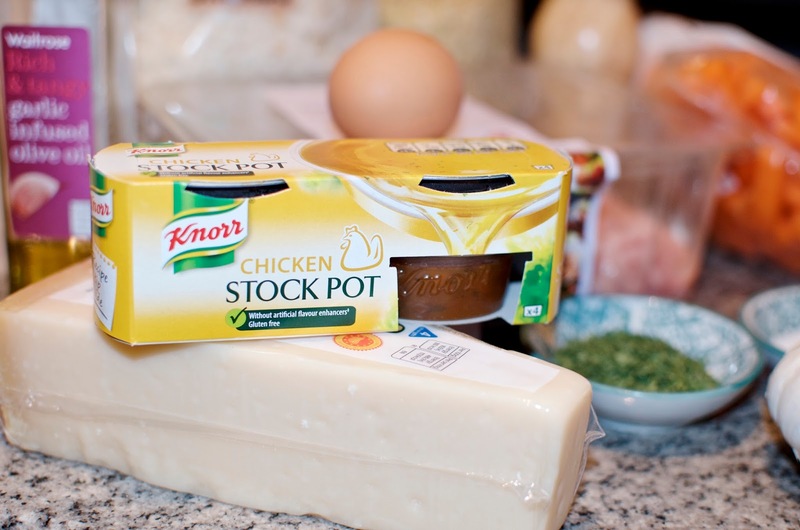 You can totally use chicken stock cubes for this recipe although I recently discovered the Knorr Stock Pots and I must admit that I love them for this soup. This is not a sponsored post - I just really love these little gems for adding extra flavour to recipes and making soup stock. I use 1 for every 500ml of water, so you'll need 4 stock pots for one batch of this soup. If you're freezing this, don't add the pasta. 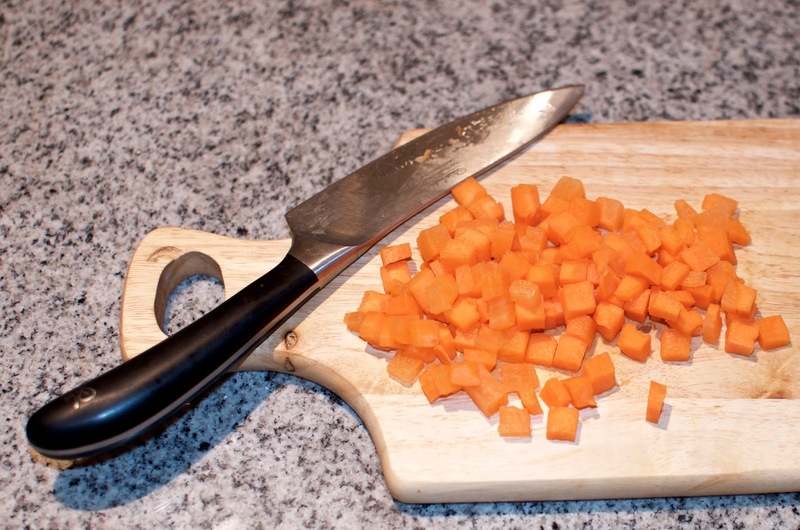 Cook the carrots and meatballs in the stock and season, then cool it completely and freeze from that point. When you heat up the soup later, add another 500ml to 1 litre of stock and bring to the boil before adding the pasta at that point. 1. Lightly whisk the egg with the two tablespoons of water in a large mixing bowl. Mix in the breadcrumbs before adding the Parmesan cheese, parsley, salt, pepper, garlic and turkey. Using your hands, mix the ingredients together until well blended, but be careful not too overwork the mixture as it can result in the meatballs being a bit tough. 2. Add the chicken stock to a large stock pot along with the carrots and garlic oil. Put it on high heat to boil, keeping the lid on. While that's boiling away, get on with forming your meatballs. 3. 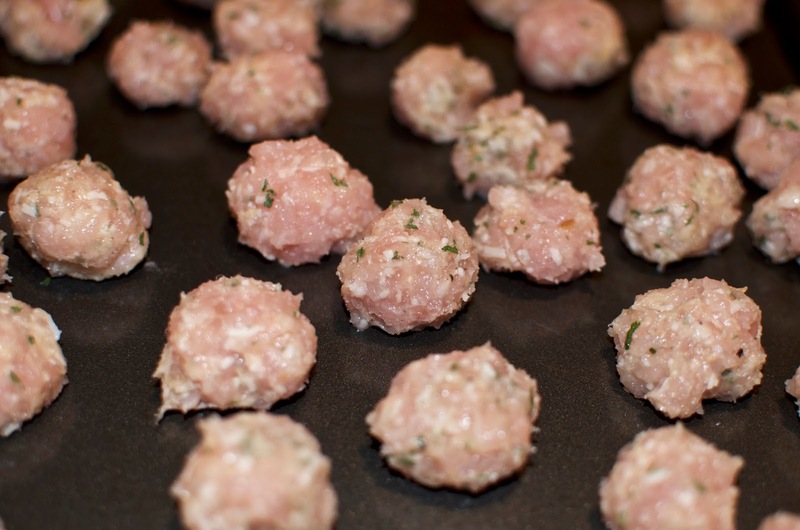 Form the meat mixture into little balls and place them onto a baking sheet or a surface covered with either non-stick paper or tinfoil. The size of the meatballs is completely up to you, but I prefer them on the smaller size. About half the size of a golfball usually does the trick, but there's no need to stress if they aren't all the same size. If you find the mixture difficult to work with because it's too sticky, cover the bowl with cling film and pop it in the fridge for 20 minutes or so. 4. Drop the meatballs into the boiling stock and reduce the heat to medium low. Simmer with the lid on for about 20 minutes or until the meatballs are cooked through. 5. 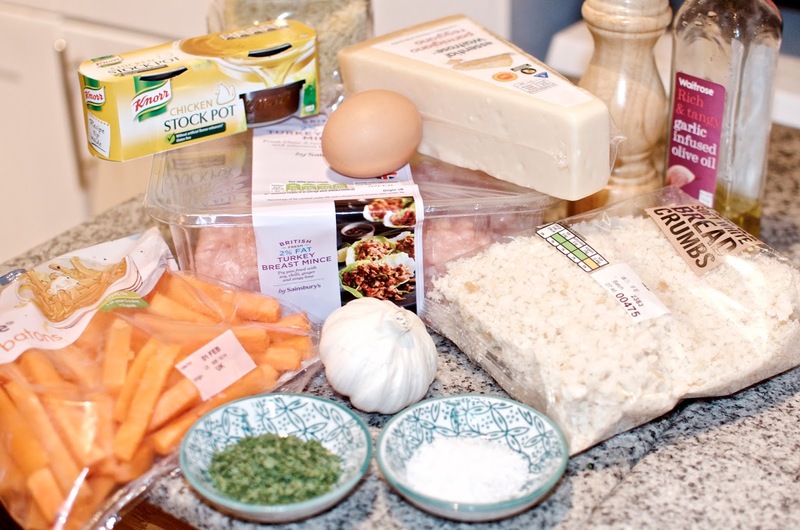 Increase the heat to medium-high and add the orzo pasta. Boil for about 10 minutes or until the pasta is cooked, stirring at least once about halfway through to pry loose any pasta that sticks to the bottom. If you feel the soup is getting too thick, add more chicken stock as needed. Season to taste with salt and pepper, but be careful with the salt if you're serving with Parmesan cheese on top as the cheese will be quite salty itself. 6. Serve piping hot in individual bowls with a generous sprinkle of freshly ground pepper and some freshly grated or shaved Parmesan cheese on top. As amazing as this soup is fresh, it's delicious as leftovers too. If you're reheating this either stovetop or in the microwave, you might want to add a little water or stock before you heat it up because the liquid will thicken as it chills in the refrigerator.